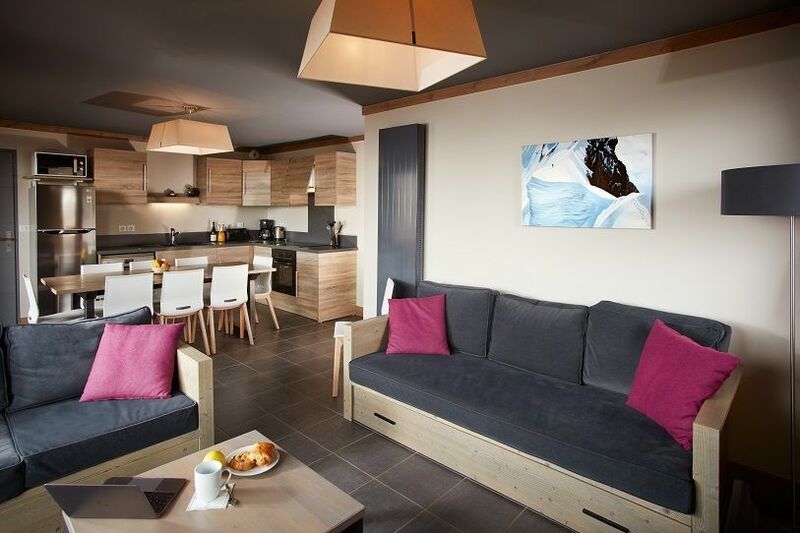 Apartment Natalie Style 2 bedrooms + small bedroom, sleeps 6/8 in Reberty 2000 - Les Menuires. 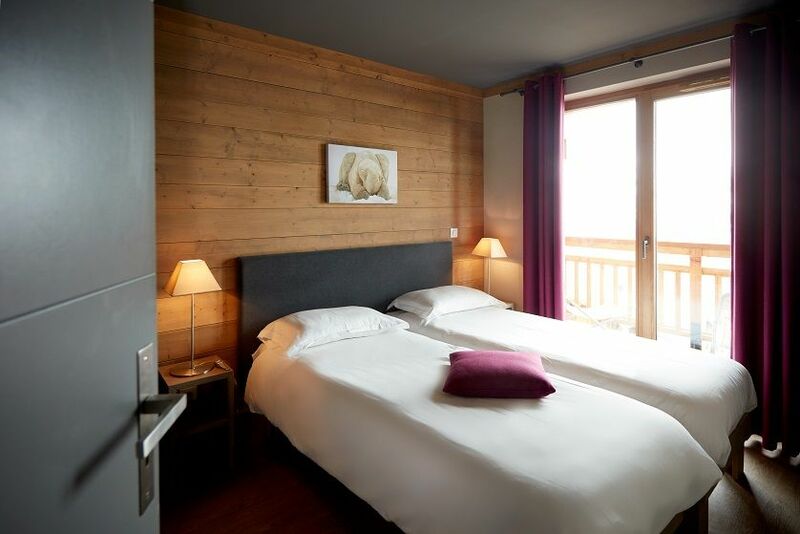 The apartments are modern ski in/out apartments with spa area ( sauna and hamman) and free wifi. 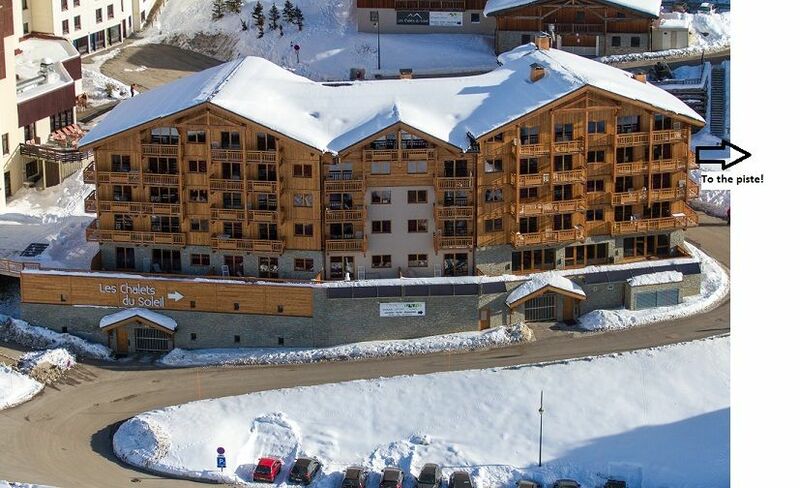 Ski in/out Style apartments in Reberty 2000, Les Menuires – Modern ski in/out apartments with shared sauna and hamam. 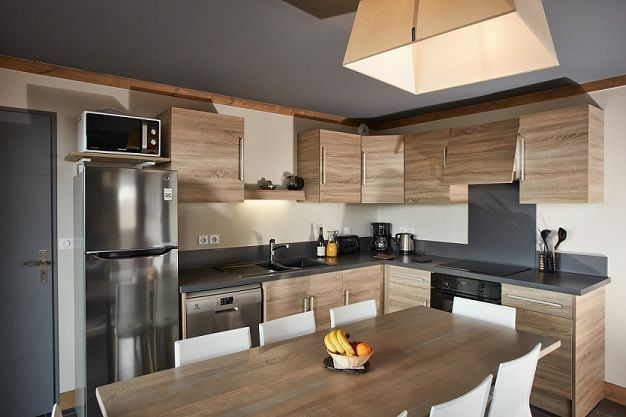 Attractive and stylish new chalet apartments, finished to a high standard and with free access to sauna and hamam, and wi fi access in the apartments. From the Natalie building the pistes are just across the road. There is a lift in the residence and each apartment has an underground parking space included in the price. Apartments in the Natalie building have direct access from the carpark, which is situated under the residence, to the apartments. Each apartment has a comfortable living and dining area, with satelite LCD TV with International channels, CD and DVD player. Floor plan is provided as indication only - apartment may differ. Wifi is free but with restrictions: email checking and web browsing is fine, however please note peer-to-peer, on line gaming, steaming and VPN and not permitted. You will need to reconnect to the wifi every 30 mins. Covered car parking space (1 space per apartment) - extra spaces are allocated on arrival by the reception and are subject to availability. - A DVD and CD player. 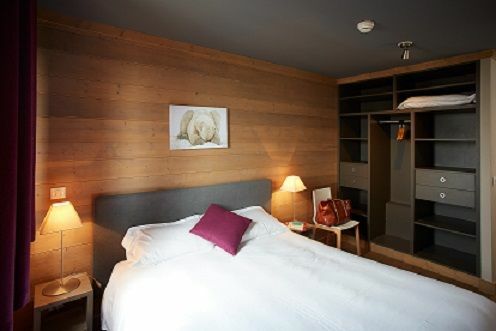 - An individual ski locker with boot dryer. A damage deposit taken by credit card swipe is requested on arrival. You will be asked to pay the local tourist tax (taxe de sejour) in resort.